Efogi was a small village on the southern slopes of the Owen Stanley Ranges and was the fourth staging post where many troops stopped overnight as they advanced over the Kokoda Track. The village, with an altitude of some 2,000 metres was in a large river valley across which could be seen the next night’s stop at Kagi, but it would be a hard day’s climb. The river was spanned by a narrow log and had the reputation of being a fast and dangerous stream, known to rise 3 metres in an hour after a storm higher up in its headwaters. Halfway up the slope was another location known as Efogi North, where a second track branched to the right towards Myola. During the withdrawal Brigadier Potts hoped to delay the enemy at Efogi North, but the ground was not suitable for defence and on 6 September he withdrew the remnants of his 21st Brigade south of the main village of Efogi. There the newly arrived 2/27th Battalion was preparing defensive positions on high ground known as Mission Ridge. Behind the 2/27th were the badly depleted 2/14th and 2/16th Battalions. At the southern end of the defensive position was the brigade headquarters on what became known as Brigade Hill. It was here that the gallant remnants of the 39th Battalion were finally withdrawn. On 7 September, Allied aircraft attacked the enemy positions around Efogi while enemy patrols probed the Australian defences. Then before dawn on 8 September the Japanese force, now reinforced to 6 battalions, attacked the 2/27th Battalion. Up to eight separate assaults were repelled with heavy losses on both sides. Meanwhile the Japanese moved around to the left of the Australian position and struck at the area between the 2/16th Battalion and brigade headquarters. There was bitter fighting as the Australians tried unsuccessfully to throw the enemy back. Captain Nye of the 2/14th Battalion and Captain Langridge of the 2/16th Battalion were killed when each led determined counter attacks. 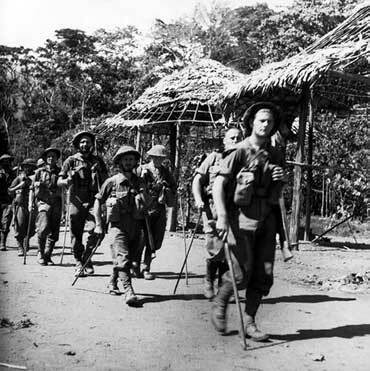 Brigadier Potts had no alternative but to order another withdrawal by his headquarters back along the track to Menari, while his three battalions moved through thick jungle to the east to meet up with him. Carrying their wounded down steep slopes in thick jungle the Australians could only move slowly, but a determined counter attack by a company of the 2/27th Battalion enabled the remainder to make a clean break. By nightfall on 8 September the Efogi area had been abandoned. 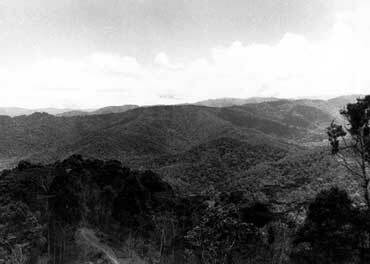 The defence of Mission Hill and Brigade Hill was one of the most savage battles of the Kokoda Campaign and was costly in casualties to both sides. This action gained further time, which was crucial to the whole operation. During the counter offensive the 3rd Battalion reached Efogi on 4 October without meeting resistance. They were followed by the 2/33rd Battalion who buried the bodies of the Australians who were killed during the withdrawal.